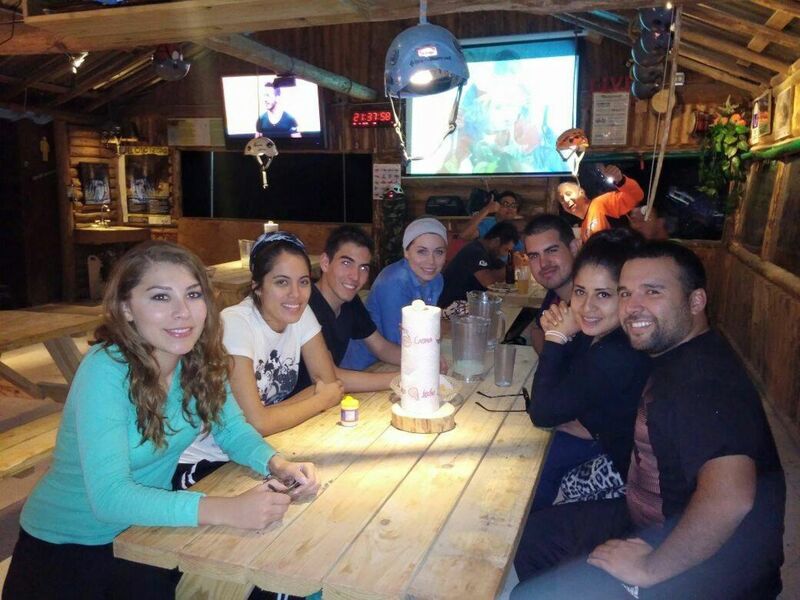 The adventure pack starts in the city of Monterrey and in the near mountains of Santiafgo. 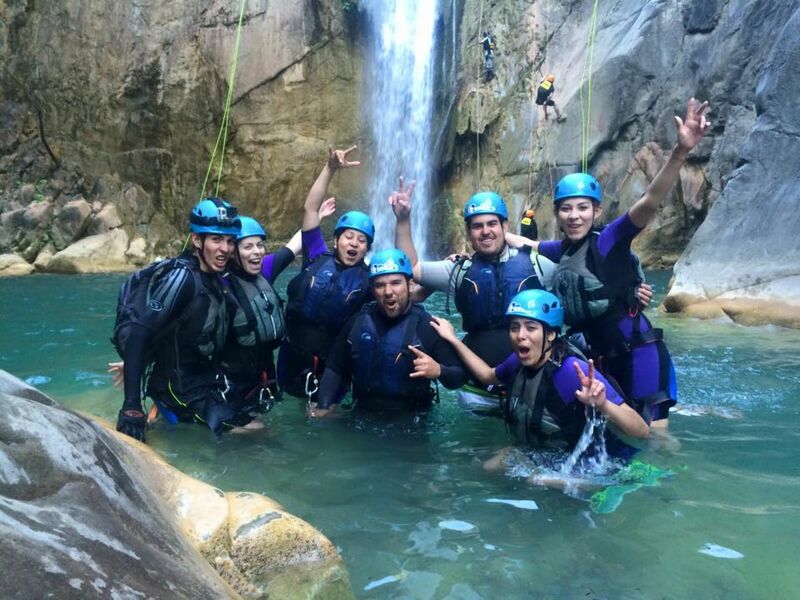 Best canyoning tour in Mexico with rappel descents, underground rivers that we will cross thru, cliff jumps into the water, slides, and many more hurdles . 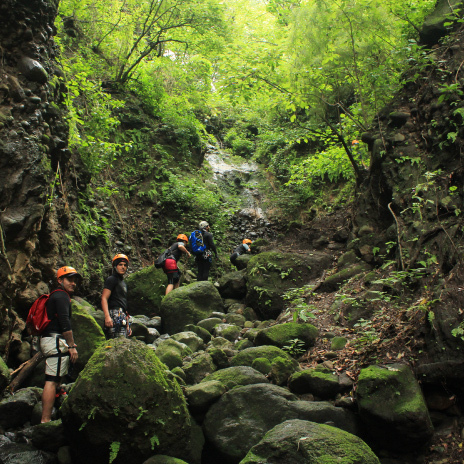 Hike starts on a path down to the waterfall. This package includes cabin with hot water, bed, bathroom and dinner the night before in our village. At the morning we'll have breakfast, right on the starting point of the tour! Can be made all year, but have more visitor influence from February 1st to November 15th, highly recommendable on the months from September to November, having higher water level. Each participant will be responsible of the gear provided. In excursions with dirt road transportation bring a sweater, windbreaker (watreproof) and a cap. Yous can leave personal gear in the vehicle. Groups can be made of 4 people minimum. In case of not being able to form a group, you'll have to pay for 4. Cabins are for 7 people, they are not pritave and have bathroom and hot shower. Includes all meals for your trip. Alcohol and beer are not included but are available at our resort Bar open until midnight.